Cocotu’s Honey Processed Chiriqui, something delightfully. Cocotu’s Honey Processed Chiriqui, something delightfully different. 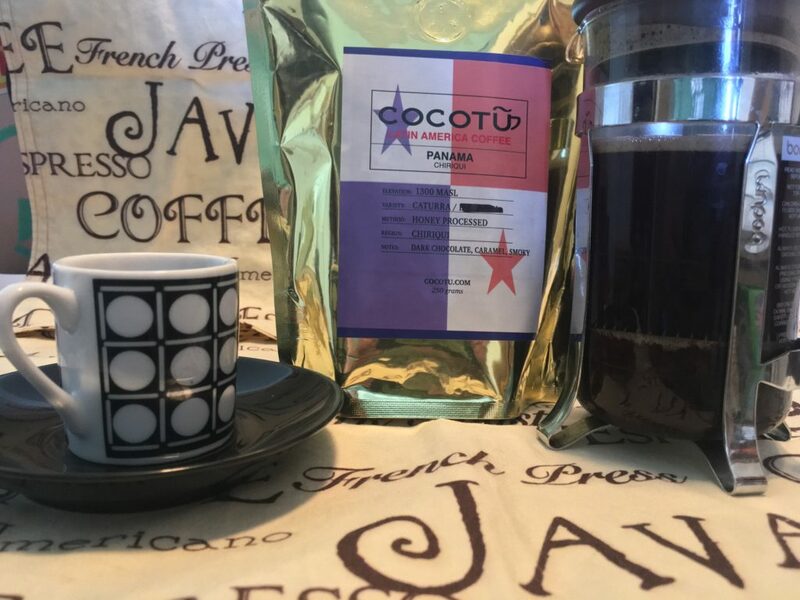 Cocotu’s Honey Processed Chiriqui is truly a delightful cup of coffee. 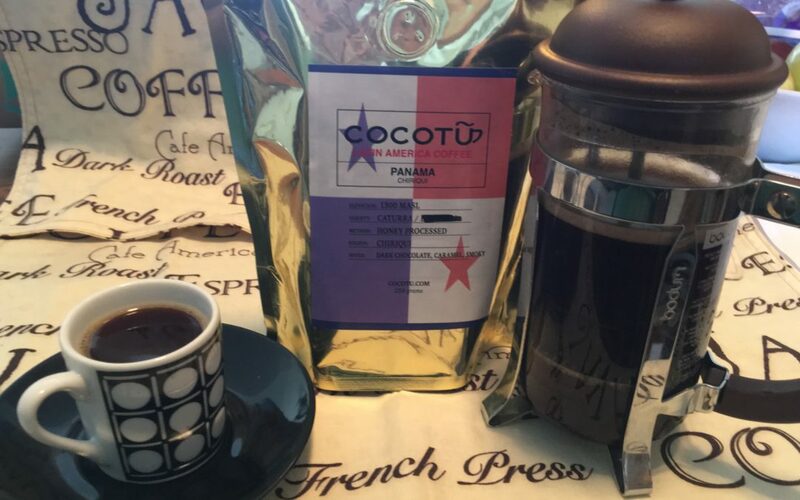 What makes Cocotu’s coffee stands out from the rest is that Cocotu’s founder Rudy Guisbert. He has a direct relationship with the coffee farms of Latin America. That means there is no middle man, no risk of having these small micro lot beans being mixed together to fill a shipping container to make a sale. Rudy can say that this coffee is non-chemical and organic, he knows exactly were his coffee comes from. As a coffee purist and enthusiast this is what it is all about. When Rudy contacted me about his coffee, I have never heard about Chiriqui. I have had my share of Panamanian and I thought they were okay, nothing that I would eagerly pursue. Rudy made mention that this coffee is a honey processed coffee. That means that the outer flesh or mucilage is left on the coffee bean. After it dries and cures what you get is a naturally sweeter coffee. After hearing that I thought okay I will give it a go. What a delightful and outstanding surprise that was. The Chiriqui has a very exotic smoky aroma, with strong caramel and dark chocolate notes, it is not big but an enticing aroma making you want to indulge in it. For me is where the Chiriqui won me over, the dark chocolate and caramel where in perfect balance with each other. I could taste each flavor profile equally while I was sipping it. The smoky flavor was a exotic finish note that I relished. I added milk to it to see if there was any large taste difference and I found it to be not an issue, the distinct flavors were consistently there not yielding to the milk. The citrus note in the acidity of this coffee gave it a nice brisk pop, not a harsh or bitter finish. Quite refreshing. Very full without being heavy, the smokiness flavor I felt gave it a nice full body feel. Not light or watery, but solid letting you know you are drinking some serious coffee. 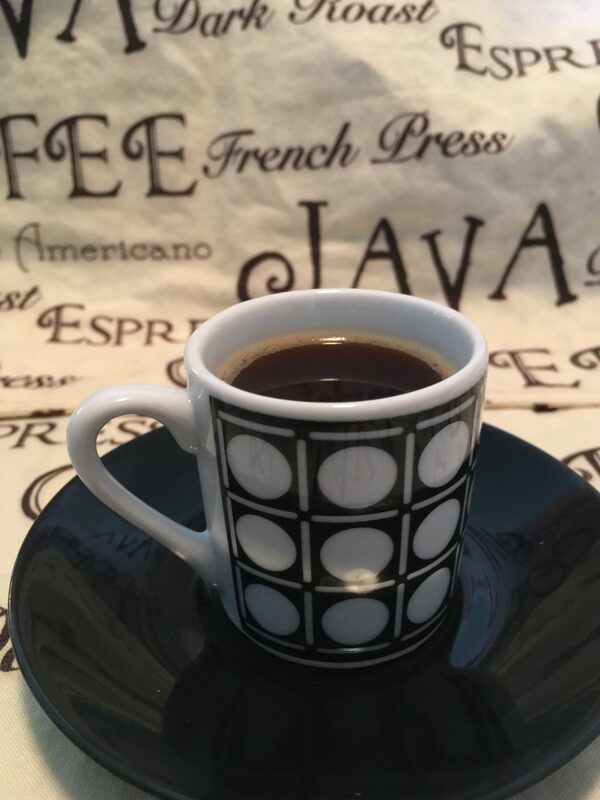 I found this coffee to be a very pleasant surprise, not like any of the other coffees from that region, but uniquely its own. A very memorable taste profile, full of flavors of caramel and dark chocolate that is very much in balance with each other. The finish has a lovely smokiness that I find to be exotic. Not overly tart but a nice briskness to it with enough citrus pop to keep your pallet clean for the next sip. Overall this is a wonderful cup, no multi flavors going on here, just three that seem to get along with each other quite well. The roast on this is perfect, any longer would have ruined it for me. The dark chocolate would have over taken it and made this coffee blend in with a host of many coffees from that area. Excellent job on the roast. Granadina, Infusion’s honey sweetness in a coffee bean.